Boston, MA Perkins+Will has strengthened and diversified its leadership team through a combination of hires and internal promotions. Principal Lisa Killaby has joined the studio to lead its workplace strategy practice, and associate principal Gautam Sundaram has joined to lead its urban design practice. At the same time, operations director Andrew Grote, marketing director Carolyn Cooney, and senior designer Matthew Pierce have been named associate principals. “The growth of our leadership team will enable us to better service our clients across the multiple industries that we support locally, regionally, and nationally,” said Robert Brown, principal and managing director of Perkins+Will’s Boston studio. In addition to his role as operations director, where he oversees the daily operations of the Boston studio, Andrew Grote is a designer, project manager, and project architect for educational clients, including Massachusetts Institute of Technology, Wentworth Institute of Technology, and the Massachusetts School Building Authority. Grote has served as guest critic at several colleges and universities, and as a lecturer at the Boston Architectural College and Northeastern University School of Architecture. As marketing director, Carolyn Cooney brings marketing and strategic expertise that drives the development and implementation of the studio’s marketing, client engagement, and strategic planning efforts. 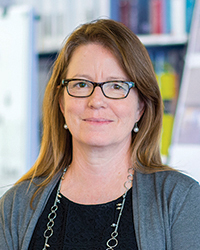 Cooney has played an active role with the Boston Society of Architects, having served as co-chair of the marketing and public relations committee for six years prior to her election to the membership committee, where she now focuses on strategic outreach and communication. Matthew Pierce is a senior designer who has worked on projects for a wide variety of client types across the U.S. and the world. He led the design of the award-winning Living + Learning Commons at Keene State College in Keene, NH and most recently led the design of The Exchange at 100 Federal St. in downtown Boston. 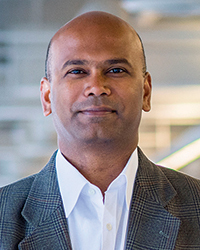 He is a frequent guest critic at many Boston-area universities and is part of a firmwide network of experts with a special interest in computational design and advanced visualization.